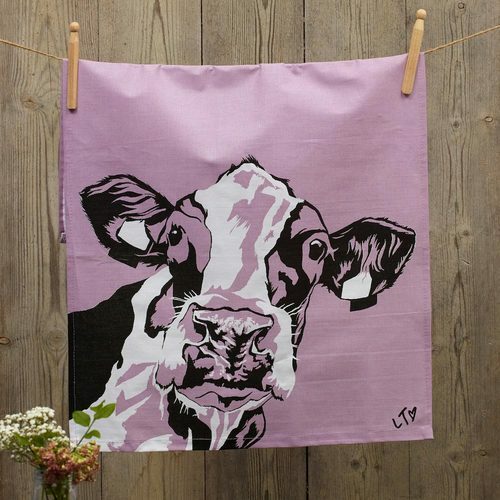 Make drying up a little more charismatic with this cow face tea towel. 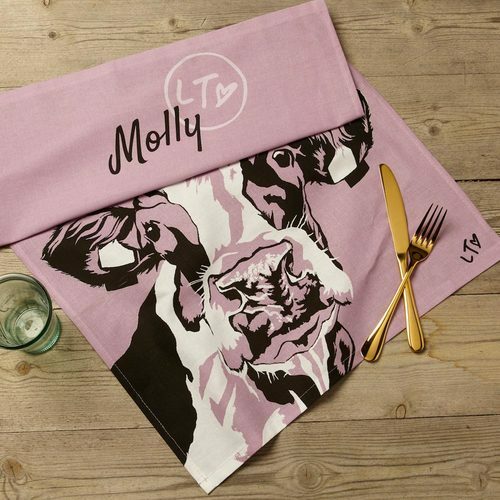 A classic black and white design of our curious friesian Molly on a bold mauve background. Perfect for the farmhouse.